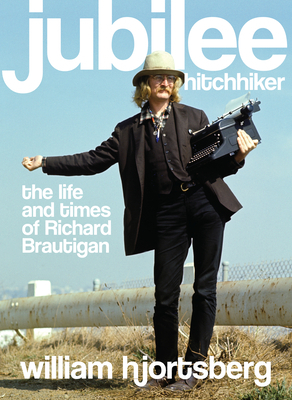 Confident and robust, Jubilee Hitchhiker is an comprehensive biography of late novelist and poet Richard Brautigan, author of Troutfishing in America and A Confederate General from Big Sur, among many others. When Brautigan took his own life in September of 1984 his close friends and network of artists and writers were devastated though not entirely surprised. To many, Brautigan was shrouded in enigma, erratic and unpredictable in his habits and presentation. But his career was formidable, an inspiration to young writers like Hjortsberg trying to get their start. Brautigan's career wove its way through both the Beat-influenced San Francisco Renaissance in the 1950s and the "Flower Power" hippie movement of the 1960s; while he never claimed direct artistic involvement with either period, Jubilee Hitchhiker also delves deeply into the spirited times in which he lived. As Hjortsberg guides us through his search to uncover Brautigan as a man the reader is pulled deeply into the writer's world. Ultimately this is a work that seeks to connect the Brautigan known to his fans with the man who ended his life so abruptly in 1984 while revealing the close ties between his writing and the actual events of his life. Part history, part biography, and part memoir this etches the portrait of a man destroyed by his genius.